Having a visually appealing resume is key to your job search and it accentuates your brand. Take it from us…as a highly-credentialed professional resume writing service, we see it all the time – lack-luster resumes that look like well…crap! Although you may not have thought about this before, your cover letter, resume and LinkedIn profile are your unique professional branding documents. So, they better look good. Have you ever had a meal put in front of you that looked so good that you were almost drooling? That’s how you want recruiters and hiring managers to feel when they look at your resume. You want your resume to look so good that they HAVE to read more and call you up for that job interview. Don’t get me wrong – content is KING! Your resume can look as beautiful as a Picasso, but if the words are lack-luster, you’re dead in the water. In our last blog post, we talked about how the right verbiage can make or break your resume. If you haven’t already, read that first. Now, presuming your verbiage is top notch and full of action verbs, accomplishments, value-statements and keywords, you just might get it into the hands of a human being (a hiring manager, HR professional or recruiter). It’s important to realize that having a visually appealing resume not only accentuates your brand, it is a part of your self-marketing strategy. But an important point to make here is that before a hiring manager reads a single word, the visual presentation of your resume can impress or disappoint within seconds. Ever wonder why the Target bulls-eye is red or why Nike decided to use burnt orange to design the original swoosh? These decisions aren’t by coincidence. Color and design reinforce a company’s brand characteristics and they can turn your resume from blah to WOW! So, put some thought into your choice of format and color in your resume. Yes, color! It is an element that many don’t care to think about or they fail to execute properly. For many years we were hammered with rules regarding style and format. We were told that only the basics would do and deviating from the traditional black & white format could potentially cost you a job. Unfortunately, many job seekers don’t realize that these rules have evolved with the changing employment landscapes. Some job seekers still believe that any ounce of design is forbidden, unaware that they are being left in the dust by the candidates that take the risk to give their resume some pizzazz. Relying on outdated information can do some serious damage to your job search. Content and visual presentation go hand-in-hand and your resume does not have to look boring and gray-scale to be professional. It’s okay to spice it up a little bit! I’m not saying to go overboard incorporating so many colors that it looks like a pack of Skittles erupted on the page. It doesn’t take much to make an amazing impression. You will stand out from other candidates. Well, duh! After looking at hundreds of resumes, black ink on white paper will start to blend together. Imagine a recruiter shuffling through a stack of resumes meticulously searching for that dream candidate. 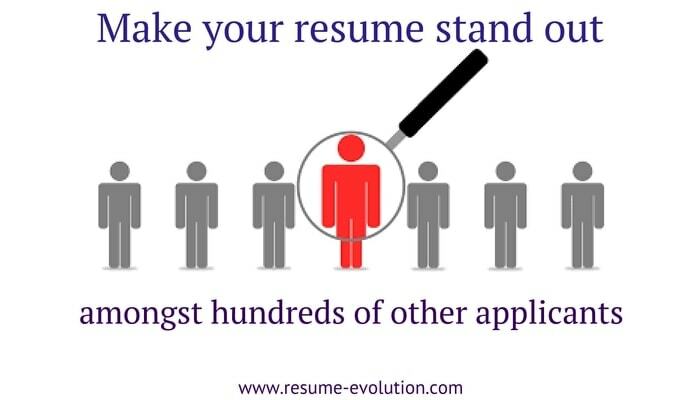 Picture them coming across a well designed resume that makes them stop and take notice. That resume could be yours. During the initial screening process, hiring managers will go so fast that they will most likely not remember your name, but they just might remember the “blue resume”. It’s little details like this that can make the biggest difference. You are able to guide the eye of the reader. A well-designed resume puts you in charge of how your career story is told. Proper structure, design and utilization of white space allows you to draw the reader’s attention to important points. What are some of your best selling points? Perhaps a quote from a past employer, a set of unique sills or some unique achievements. Once you decide, you can design your resume so these items stand out. You can showcase your creativity. Using a splash of color and some elements of design can certainly help – especially if your field values creativity. For instance, where an accountant or CPA would likely stick with a corporate dark blue, a graphic designer can surely utilize more colors and other design strategies to accentuate their style. In this case, the resume would serve as a part of an awesome portfolio of design work, so you impress your future boss both creatively and with quality content. Your information is well organized. By making lists, bolding key information and using left, right or center justify, you can organize your information so it’s not only easy to read, but clear and organized so sections are clearly defined. Another tried and true method to guide the reader is using bullet points to list accomplishments. This isn’t a new method of organization, obviously and just like color elements, you can go overboard. Keep bullet points to a maximum of 5 so you don’t overwhelm your reader and don’t make them longer than 2 lines. When you are looking for an edge over the competition, every element counts. Do your research regarding color and design. For example, the color blue conveys trust and reliability, while red is all about power. Every decision weaves together your career story, so whatever you choose make sure you’re consistent and intentional. Not sure where to start? A professional resume writing service would know exactly how to design a resume that grabs employers’ attention while incorporating high-quality content with strategic design. Want more? Visit our blog for free resume writing tips, cover letter help and LinkedIn training. Resume-Evolution is a professional resume writing service that takes pride in delivering L.I.V.E™ resumes that Look Good, are Intentional, Value-based and Enticing. Our team of elite certified resume writers provide entry-level, mid-level and executive resume writing services to brilliant professionals who are ready to level-up in their career. Visit resume-evolution.com for more details on our services. 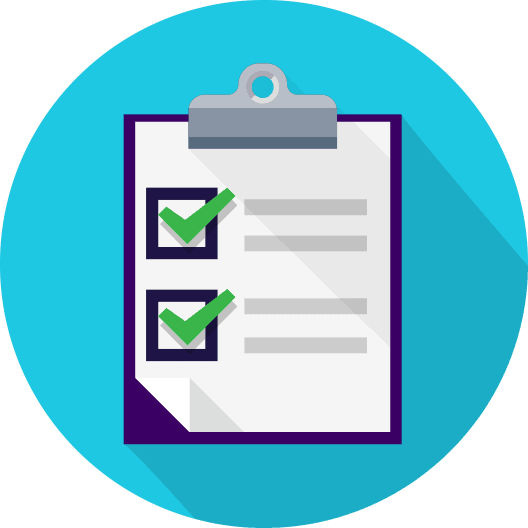 While you’re there, download your free 5-minute resume checklist to reveal exactly why your resume isn’t working, so you can stop struggling in your job search and start lining up interviews today! Reveal exactly why your resume isn't working, so you can stop struggling in your job search and start lining up interviews today. Check your email for instant access!